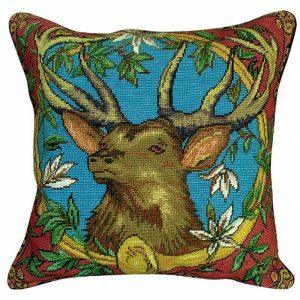 Women in the 19th century took advantage of the boom in textile mills and the abundance of wool yarn to decorate their homes by creating dramatic and stunning images on throw pillows. 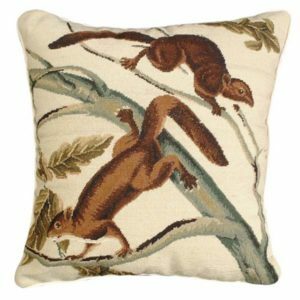 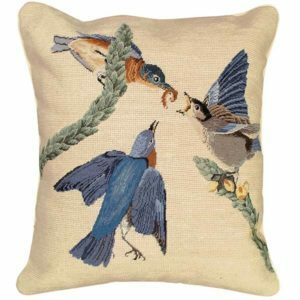 Then, the art of needlepoint was based on the adage from Proverbs that, “idle hands are the devil’s workshop.” Today, Needlepoint pillows are a beautiful expression of hand artistry, historical significance, and timeless beauty. 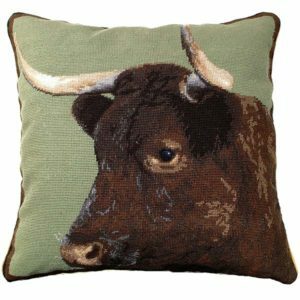 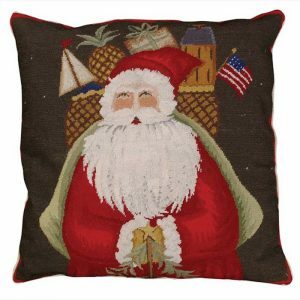 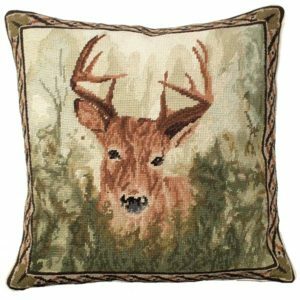 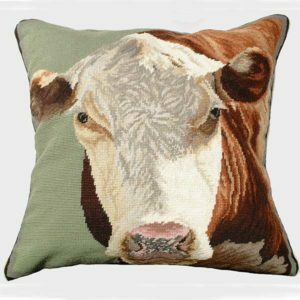 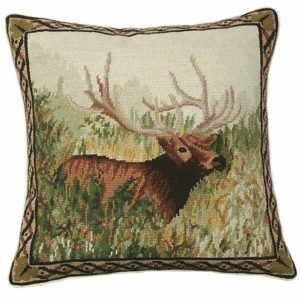 At Michaelian Home, regular decorative needlepoint pillows are roughly 100 stitches per square inch. 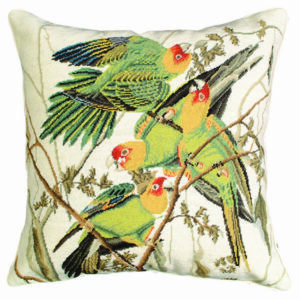 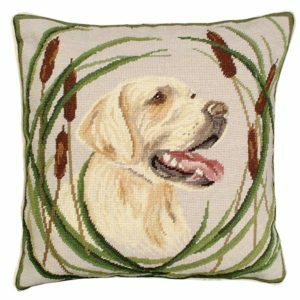 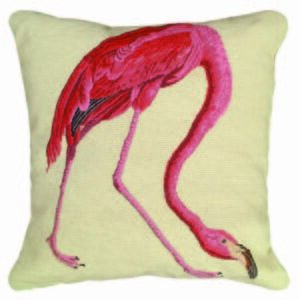 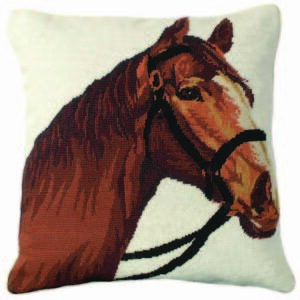 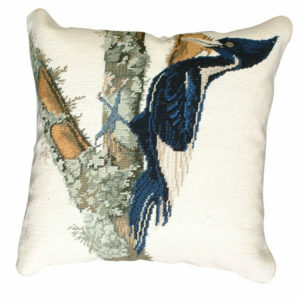 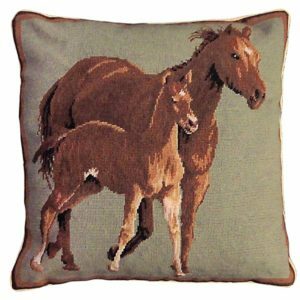 Petit Point pillows have around 225 stitches per square inch for even greater detail. 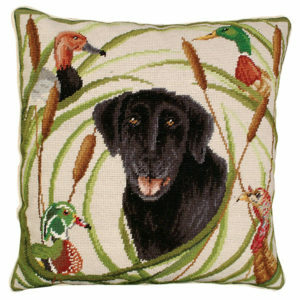 Several pillows are a mix of regular Needlepoint stitch and Petit Point stitch. 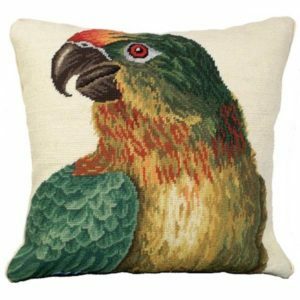 The designs and patterns are stunning and varied, including early Audubon inspired patterns of birds, wildlife, hunting and lodge.